Large increase of throwing distance! 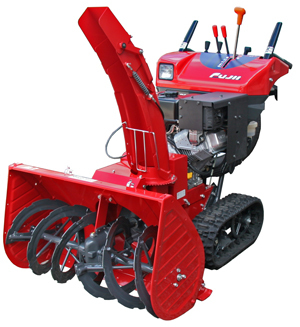 New chuter can throw Any snow; fresh snow,lingering snow and so on. You can easily throw snow over the wall. *Newly equipped wet clutches enable smooth swiveling by pulling the lever. *The chute is easily adjusted with an electric lever. *Operation speed is controlled steplessly with the HST lever. Smooth switching between forward and backward. 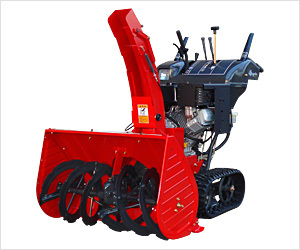 *The auger part is moved up and down effortlessly with a power-assist lever.